Okay, we'll admit that it looks a bit like a baby monitor. 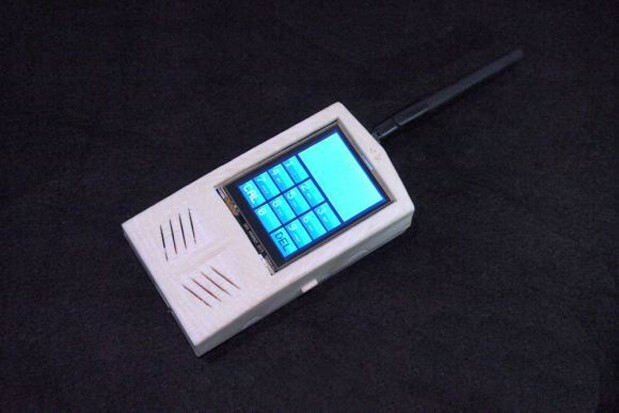 But in contrast to those over-engineered pieces of parenting paraphernalia, this DIY cellphone can actually make calls and send texts over GPRS. More importantly, Hackaday claims it was put together by a lone hacker ("Victorzie") from an assortment of off-the-shelf and modded parts, including a TFT touchscreen, lithium ion battery, charging circuit, GPRS module and shield. These components were hooked up to an Arduino Uno microcontroller running a barebones UI and then jammed into a 3D printed case, which makes the device look far more pocketable than some previous hackaphone efforts. The end result inspires big respect for the creator, but also, more grudgingly, for the pro engineers at places like Nokia, who can pull all this stuff together and even get it FCC-approved for just a few dollars. 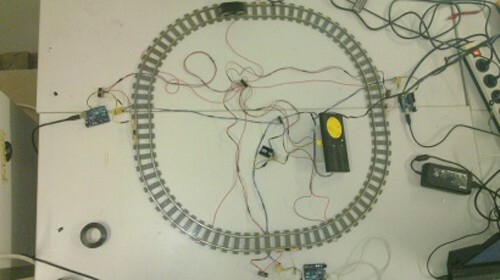 Hobbyist Erik Kettenburg was concerned that the size and cost of Arduino stifled his ability to craft, so he set about developing Digispark. 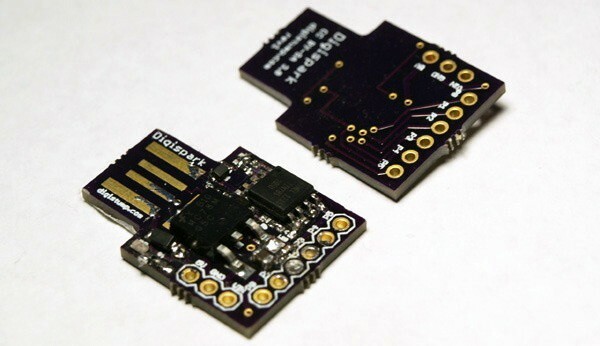 It's an Arduino-compatible board, the size of a quarter, that offers a few pins at around a third of the cost of an Uno -- so you don't have to worry about taking projects apart when you're done. Designed to be fully compatible with the Italian standard, it's packing six I/O pins, 8k memory and a full USB connection amongst other things. The aim is to retail the gear for $12 a piece, and has been so popular that it's made nearly $100,000 in Kickstarter pledges, smashing its original goal of $5,000. We've got video for you below, and you can still throw some cash Mr. Kettenburg's way if you fancy getting your hands on one quickly. Digispark, Arduino's unofficial kid brother, takes Kickstarter by storm (video) originally appeared on Engadget on Mon, 20 Aug 2012 09:39:00 EST. Please see our terms for use of feeds. Sick of trying to control your 360 using Kinect, semaphore and advanced flailing? 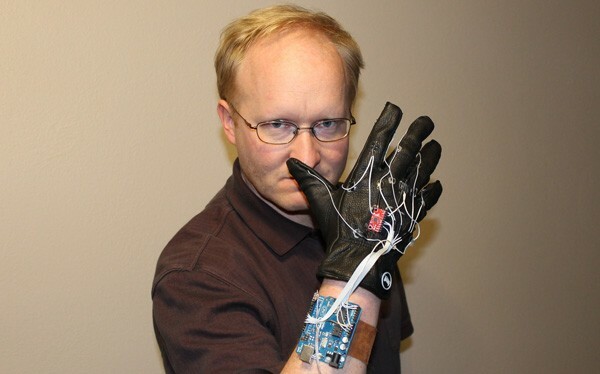 Modgod Ben Heck, deciding he wanted to be more Minority Report and less lunatic, has been working on Power Glove 2.0 to improve the console's navigation experience. The prototype glove is tricked out with Arduino, an accelerometer, a gyroscope and some fingertip buttons. With the addition of IR and a little coding magic, the 360's interface can be controlled via subtle gestures, with increased functionality / style points also apparent. Check out the latest episode of The Ben Heck Show after the break for a detailed walkthrough of the project and a demo of the glove in action. Ben Heck makes Super Glove mod for Kinect, takes strain out of gestures (video) originally appeared on Engadget on Mon, 04 Jun 2012 17:33:00 EST. Please see our terms for use of feeds. You never know when that creative spark will ignite in your brain and compel you to sketch out some ideas. 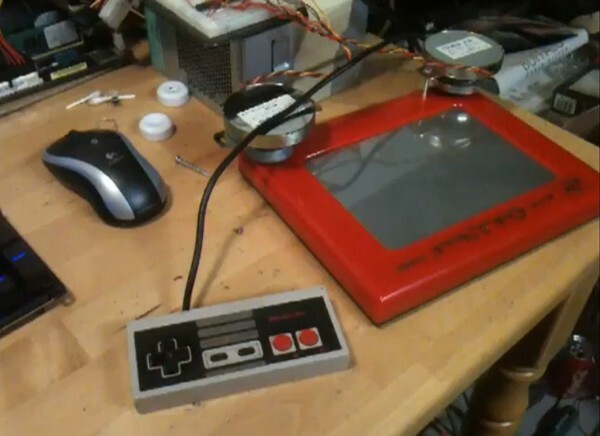 But when that genius moment finally arrives, you might consider grabbing your original Nintendo controller, quickly wiring it up to an Arduino board, connecting that to some motors and then using those to drive the dials on an Etch-a-Sketch. Modder Alpinedelta32 tries it in the video after the break and it turns out to be a breeze -- and so much more tactile than other idea-capturing devices. Arduino hacker conjures NES and Etch-a-sketch wonderment (video) originally appeared on Engadget on Fri, 25 Nov 2011 22:01:00 EST. Please see our terms for use of feeds.